A recent study may have been small, but its results came as a big surprise to some. Lead author Dr. Phillip Schwabi of the Medical University of Vienna and Dr. Bettina Liebermann of Environment Agency Austria found microplastics particles in the GI tracts of every human participant in the study, which the researchers presented at the prestigious 2019 United European Gastroenterology (UEG) Week. Microplastics are tiny plastic particles that are now found worldwide in rivers, lakes, the ocean, the soil, municipal tap water, and even fancy bottled water. About 5% of discarded plastic makes its way into the ocean and from there into tuna, lobster and shrimp. Some scientists even postulate that plastic particles can enter the human body via inhalation. The eight test participants — who were from Finland, Italy, Japan, Holland, Poland, Russia, England, and Austria — kept a dietary diary for a week before stool testing. The diaries revealed that all were exposed to plastics from food wrappings and plastic bottles. At the end of the week, samples were taken, and the study’s new method of analysis identified 10 types of plastic particles, mostly polypropylene and polyethylene-tetraphthalate, in the stool samples. Nine of the particles were between 50 and 500 micrometers, with a mean concentration of 20 particles for every 10 grams of stool. I’m not at all surprised or particularly worried by these findings. Micro-plastics have been found in tap water, bottled water, fish and mussel tissue, and even in beer. […] We will also be exposed to particles from house dust, food packaging materials and the use of plastic bottles. It’s therefore inevitable that at least some of these things will get into our lungs and digestive systems. While the highest plastic concentrations in animal studies have been found in the gut, the smallest microplastics particles are capable of entering the blood stream, lymphatic system and may even reach the liver. Although more research is needed, it’s theorized that microplastics in the human gut could disrupt the endocrine system, harm the immune system, and help transmit toxins and harmful bacterial illnesses or viruses. Despite the fact that few wastewater treatment plants use microfiltration before releasing effluent, many plastic particles are removed during treatment. But, if even few are released, the sheer volume of effluent means that many enter the environment and continue on a path to the sea. Anaerobic digestion has been shown to help remove microplastics from water and offers other benefits, for instance, it can be used for waste-to-energy systems to help power treatment. A study published in Environmental Science & Technology showed that it is much more effective at reducing the particles in wastewater sludge than common methods such as lime stabilization or thermal drying. 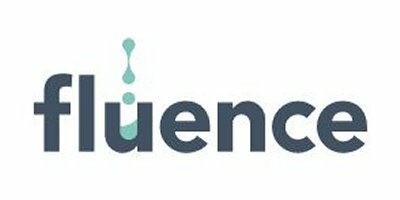 Fluence anaerobic waste-to-energy solutions can be applied to ordinary food waste as well as more complex biomasses and high-COD wastewater, and sludge from slaughterhouses, fish processing plants, rendering plants, and more. No comments were found for Microplastics Found in Human GI Tracts. Be the first to comment!